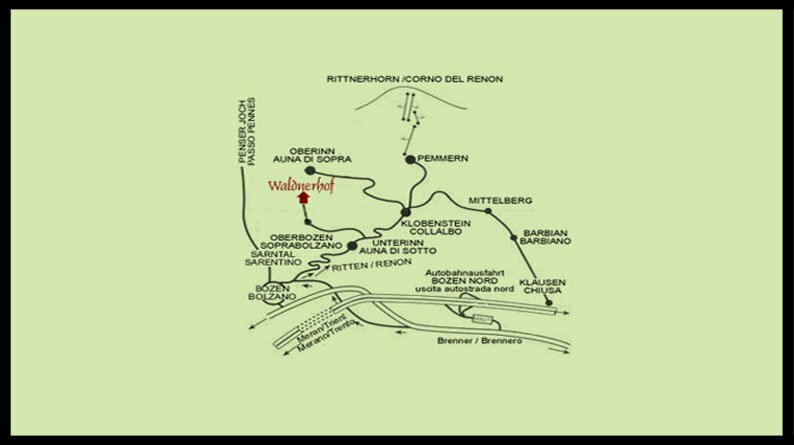 The Waldnerhof farm is located above the village of Oberbozen am Ritten in South Tyrol. Coming from the north you will reach us preferably through A22 Brenner highway. You will exit at Bozen Nord and turn right just before Bozen, going up to the Rittner high plateau. After around 15 km you go down left to Oberbozen. At the end of Oberbozen you turn right into Stauseeweg to our farm house.